Are you suffering from any kind of a water-related emergency? Right from the bursting of a pipe to the flood, there can be various kinds of water emergencies. But if you are undergoing this kind of a concern, you should not delay and always resort to a professional company with the right experience and expertise to tackle the issue. Or else, you will have to confront greater problems including damage to the belongings, weakening of the structural integrity of the house, as well as mold issues. We, at A-Emergency Services & Restoration, can be the right choice for you. Regardless of the problem, we can ensure a fruitful water removal, water damage cleanup, and restoration of your property. We have a highly advanced and modern technology along with experienced and well-trained technicians who can provide an effective solution to all water-related issues in your property. So, if you belong to areas like Arlington Heights, Chicago, Des Plaines, Evanston, Glenview, or Northbrook, you can rely on us. Here, we have put together a few services that must be provided to you by any water removal and cleaning service. Take a look. First of all, you should make sure that the water removal company you have selected offers you water extraction services. They must be able to extract the water from your house in a short span of time. This will reduce the damage to your house as well because the water will not be standing in your house for a long time. Next, you should make sure that the company you are hiring offers you complete dehumidification and drying services so that there is no hidden moisture build up in your house which can cause mold or mildew issues if not dried up, further causing health concerns. So, without any delay, quickly call us at 773-529-6700 for removing the standing water in your house after a water-based emergency. Did you recently experience a bursting of the pipe at home, a storm, or even flood? All these emergencies can lead to water damage and must be resolved as soon as possible. It can be a huge problem. So, you should immediately look for help. We, at A-Emergency Services & Restoration, can provide an effective and efficient solution not just with the removal of the standing water but also the water damage clean up. We have the requisite experience and resources in terms of the technicians and tools. We will thoroughly inspect and clean your property with our advanced technology to make sure that your property is restored back to its original condition as soon as possible. We also help with mold contamination, reconstruction of damaged parts, and air quality improvement. So, if you are from areas like Arlington Heights, Chicago, Des Plaines, Evanston, Glenview, and Northfield, you should resort to us without any hesitation. Here, we have put together a few reasons why you should immediately get water damage cleaning and restoration help after such an emergency. Take a look. First of all, the accumulation of water on your premises can cause heavy damage to all your belongings. Right from cash, jewelry, furniture to clothing, electric appliances, important documents, and every other possession can be damaged irrevocably due to the water. Moreover, this accumulated water can also cause electrical accidents owing to coming in contact with your electric wires. Next, this water can cause damage to the structural integrity of your house. Due to moisture build up in the ceiling or the floor, it can affect the foundation of the house. This also leads to moisture buildup and can lead to the growth of molds and mildews which can further cause health issues to your family members. So, in order to save yourself from such damages, quickly get in touch with us today. 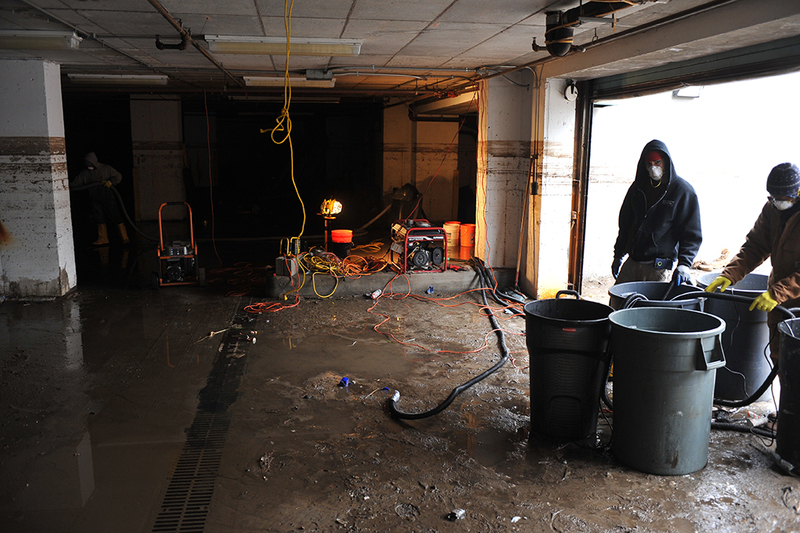 Water damage is one of the most serious concerns that can prove to be devastating for your home or office. Right from a burst pipe, storm, flood, or other emergencies, there can be various reasons for water damage. But if it affects your house, you should immediately restore your house without any delay. You should get in touch with a water damage cleanup professional company who has years of experience in dealing with water damage. If you live in and around areas likeArlington Heights, Chicago, Des Plaines, Evanston, Glenview, or Northfield, then we, at A-Emergency Services &Restoration, can be the right choice for you. We have efficient and knowledgeable experts who can clean up your house and its every corner, removing the water and preventing further damage. We are equipped with advanced technology which enables us to complete the procedure at the earliest and in the best possible manner. Additionally, we can also remove mold contamination and improve the quality of air indoors. So, return back to your normal life as soon as possible with us. Here we have put together a few reasons why an immediate water damage cleanup is absolutely necessary. Take a look. Mold Growth: If you allow the water to stand in your house for too long, the moisture can build up and within a span of 24 to 48 hours, there can be a growth of molds and mildew in the walls, behind cabinets, or under flooring. And by the time you visibly realize this, the damage has already been done. This can be a major health hazard as well as damage to your property. So, restore your house as soon as possible. Structural Foundation: Water damage can affect the structural foundation of your house. If the damage is too deep, it can make your house collapse too. So, you should try to not let the damage develop to that extent and get the situation under control. If you need professional help as soon as possible, then you must call us at 773-529-6700. A Emergency is an accredited and recommend source for flood restoration in Arlington Heights, Chicago, Des Plaines, Glenview, Northbrook and Northfield. They offer cost effective and efficient disaster recovery services, including flood restoration, mold remediation, fire restoration, smoke removal and more. Excess water the most common cause of property damage in Chicago and surrounds. Water damage can result from natural causes such as prolonged rains, melting snow, flash flooding and so on. Water damage can also result from domestic problems such as open taps and burst pipes. Whatever the cause of your water damage, you need to take fast action. You need to call the flood restoration experts at the first sign of flooding. 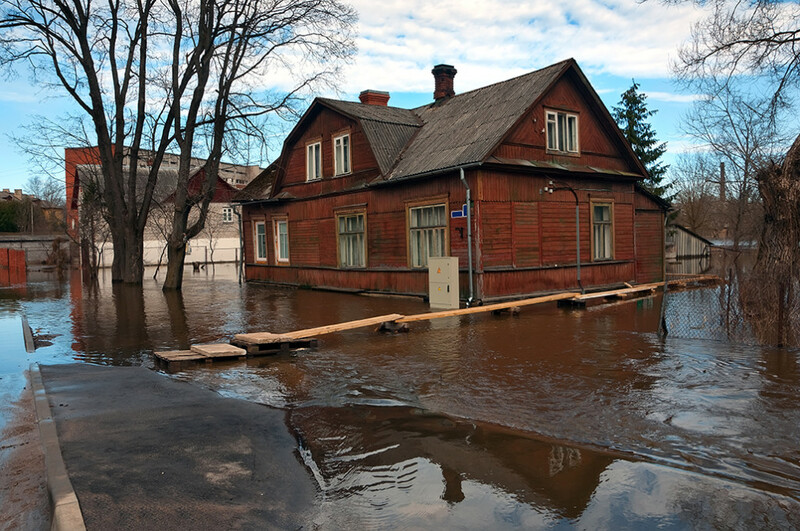 Rapid flood restoration can save you a lot of money. Water can be very destructive, and the longer water is allowed to hang around, the greater the damage and loss. Water can penetrate structures, carpets, furniture and equipment. It can weaken structures and damage assets. Standing water will soon turn to black water and pose health risks. 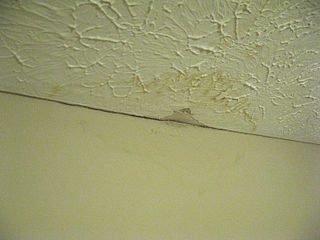 Moisture also attract mold and it does not take long for mold to infest your property. Professional flood restoration services include securing your property, water extraction, mold remediation, de-humidifying, drying, sanitising, unpacking, content cleaning, salvaging, storage and more. Fast water removal and related flood restoration services will keep damage to a minimum. Your property will also be restored more quickly, so you can move back into your home or building and resume your normal life. When you need disaster recovery services in Arlington Heights, Chicago, Des Plaines, Glenview, Northbrook or Northfield, you need look no further than A Emergency. They have the right response teams, the right equipment and they use the latest technologies to provide you with effective disaster recover, including flood restoration. A Emergency provides fire damage restoration services throughout Chicago, Evanston, Glenview, Northbrook, Northfield and Park Ridge IL. They are an accredited and recommended disaster recovery specialist and have many years’ experience in fire damage restoration and cleanup. They are available to help you with disaster recovery service 24/7, 365 days a year. A fire is one of the worst scenarios a property owner can face. Damage is usually extensive and the whole experience is traumatic. However, life goes on and help is at hand. When disaster strikes you need to act quickly to avoid further damage and to get your life or business back on track. It is important that you know who to call to help you with fire damage restoration. A Emergency will be there every step of the way to ensure the restoration process is as smooth as possible. The disaster recovery team from A Emergency will respond quickly and restore your property to pre-disaster conditions in the most cost-effective and efficient way possible. The first steps in disaster recovery often involves securing your property so it is safe for workers and other people involved. This may involve board up, roof tarps and structural supports. Then follows unpacking, salvaging, cleaning and sanitising. Smoke removal and water extraction may also be required before construction and repairs can commence. Professional disaster recovery teams use specialised equipment to deal with smoke, water, mold and related issues. Once everything is cleaned, dried and sanitised, the construction contractors will perform the required repairs. Fire damage restoration is an expensive process that will involve insurance claims. The team at A Emergency will assist you with damage estimated and related insurance claims. Before you know it your property will be restored and you will be able transition back into your home or building and resume your normal life. One of the most common yet dangerous kinds of emergencies that can occur in your life is water damage. A burst pipe, sudden deadly storm, or flood can bring havoc to your otherwise stable life and sturdy homes. Therefore, there is absolutely no time to waste. You should quickly resort to a reliable and experienced water damage cleanup and restoration service. If you live in areas like Arlington Heights, Chicago, Evanston, Glenview, Northbrook, or Northfield, then we, at A-Emergency Services & Restoration, can be the right choice for you. We are known for our extensive experience in dealing with all kinds of water emergencies and have dedicated experts to execute the restoration and cleanup job as quickly as possible. Along with removing the mold contamination, reconstructing damaged parts, we also help you get rid of the hidden moisture in your homes. So, if you want to get on with your life as soon as possible, then you should resort to a good water emergency service like ours. However, before picking a random company for this, you should make sure that certain things are alright with the company. Here, we have put together a few things to check before hiring such a company. Take a look. Before hiring a company, you should ensure that they are proficient in dealing with several aspects of water damage. So, you should check if the company can handle stain removal, water extraction, de-humidification and drying, mold removal and remediation, and so on. Water damage cleanup is a mammoth task and needs a team of efficient and knowledgeable professionals if you aim to get the work rapidly and in a fruitful manner. Make sure the company you have chosen has licensed and well-trained individuals who can not just execute the solution but also understand the importance of this kind of a restoration. So, these are a few things that you should pay attention to while choosing your water damage service. And if you think we can be right for you, then get in touch with us today. Emergencies can occur at any time without any warning. While some of these can prove to be deadly to your health and well-being, there are others which can be detrimental to your property. Suppose you experience a natural calamity or a sudden accident happens which destroys your house completely. What you will need is an emergency response service that can immediately resort to you and repair and restore your home like before. We, at A-Emergency Services & Restoration, can help. We are an experienced and reputed company that can offer a quick, reliable, emergency service to all the property owners with respect to their home restoration in around areas like Deerfield IL, Evanston, Glenview, Mt Prospect, Northbrook, and Park Ridge IL. Are you wondering how to choose such a service for any kind of emergency? Then, here, we have a few questions that you can ask the company to decide better. Take a look. What kinds of emergencies do you cater to? Before hiring an emergency service, you need to know what kinds of issues they will cover. Accidents can be of different kinds such as fire, smoke, or water damage. You have to check if the company you are hiring covers that particular issue or not. So, asking this question is certainly important. Do you offer a 24×7 service? Any sort of emergency restoration service should be available at any hour of the day because such emergencies come without a prior warning. So, you should ask the company if they are available 24×7 so as to be able to put your home back to its original condition as early as possible. Before you hire a company, you should understand that no matter how important a service it is, you should have a budget, and especially when there are so many companies at your service. So, ask for the charges in advance and then, compare them to choose the right one. So, list these questions down before interviewing any such company. And if you are interested in hiring us, then call us at 773-529-6700 now.